Welcome to the home of world’s tastiest game! 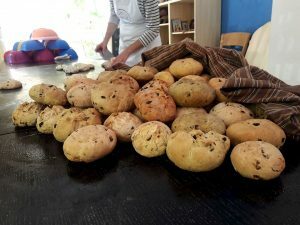 In June, in Prevala village, about 130 km from the capital of Bulgaria, a new Bread House was opened! 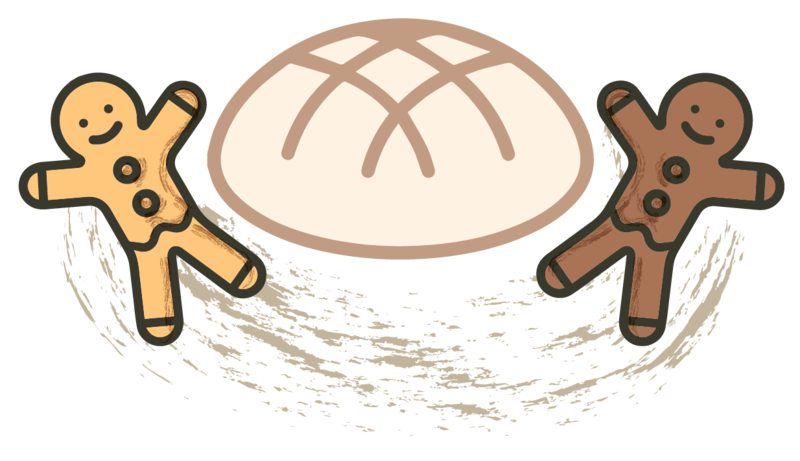 It’s located in the old community bakery in the village, equipped with a wooden oven. 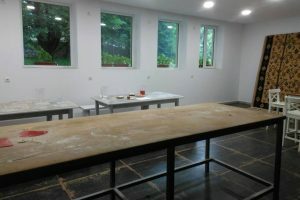 The Bread House will be combined with a manufactory for natural jams and syrops, which employs women from the local community called „Sinevka”. 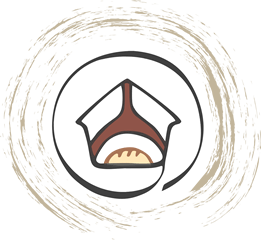 Maya Kirilova from the nearby town Chiprovtsi is the founder and owner of the enterprise and the new space for community bread makings. 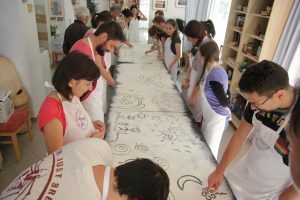 In 2015 Maya and a friend of hers opened a small workshop in the old village bakery, which was renovated thanks to the help of the Bulgarian-Swiss Cooperation Programme. 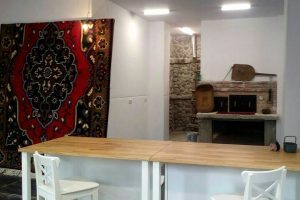 The new Bread House is aiming at reviving the bread traditions in the village – by the organization of community bread makings and the production of artisan bread. Soon, the new social center will have a hall with weaving looms where will be organized workshops for passing on the traditions. 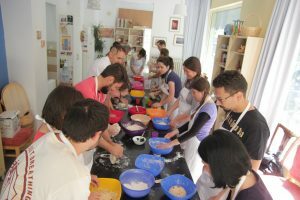 In May, the team of the new Bread House underwent training in the main methods of the Bread Houses Network. 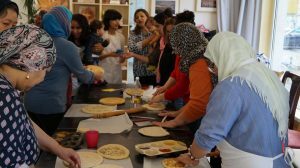 As a part of it, a community bread making was organized with ladies from the local folklore dances club and the village. 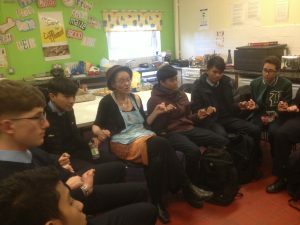 The topic of the event was „What does bread mean for me?” and the participants shared their childhood memories and what were the bread related traditions in their families. 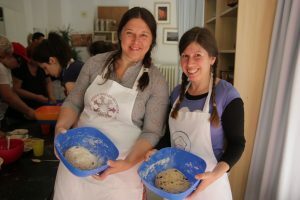 With the Bread House in Prevala, the Bread Houses in Bulgaria become nine. 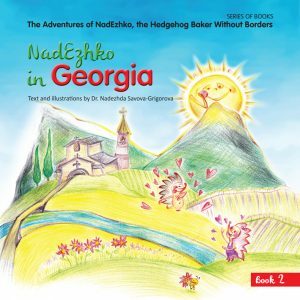 The rest of them are located in Sofia (2), Plovdiv, Zlataritsa, Gabrovo (2) Lobosh village and Svilengrad. 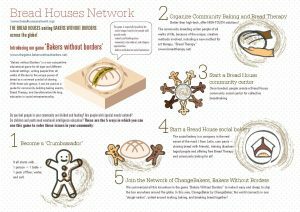 The Bread Houses Network Team and the Sofia Bread House have the pleasure to invite social activists, social enterpreneurs and all interested in community events and development of social businesses, to take part in a Social Еnterpreneurship Training in Summer 2018. 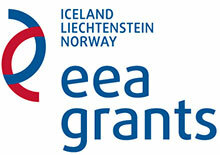 Here you can find an invitation and a short presentation of the training. We, the International Council for Cultural Centers and Bread Houses Network have been awarded for our innovative methods in social entrepreneurship by the global United Nations Intercultural Innovations Award 2016. 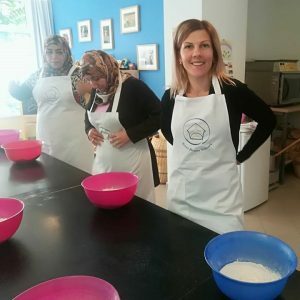 Our unique social business model – bakery and cultural center in one has been widely recognized globally, with more than 40 people from 6 continents trained to implement our services and products in addition to developing their own innovative ideas. 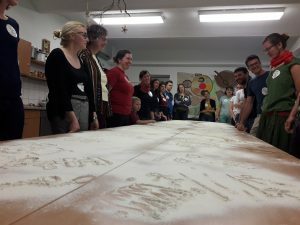 Training for the team of the first Bread House in Latvia! 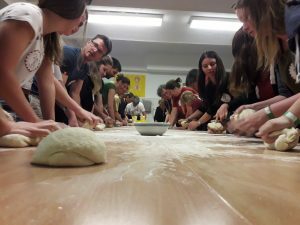 Between 15th and 17th of May in the Sofia Bread House took place training for the team of the starting Latvian social enterprise Ramala, which will combine a Bread House and cafeteria. 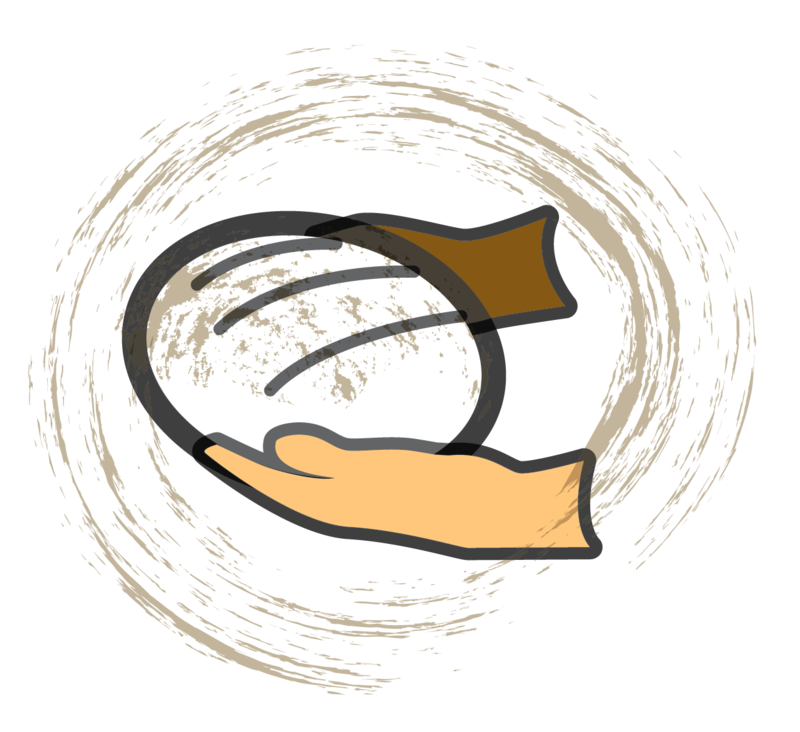 Ramala will be created by the Crisis Center for Victims of Violence in Ventspils, Lithuania. It will employ people from vulnerable groups and organize various events for community gathering, but also for popularizing the town of Ventspils as a tourist destination. 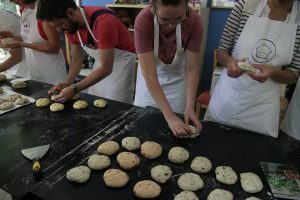 During the three-day training the social workers Ruta Šenkevica and Līga Priedoliņa participated in bread makings with refugees, with disabled people from the Center for Social Rehabilitation and Integration “Annunciation” and joined the Roma-Bulgarian group organized in the frame of the B(re)aking Bread and Borders project. 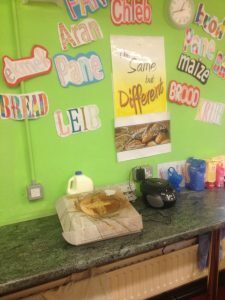 They also challenged their senses in order to experience the Bread in the Dark method. 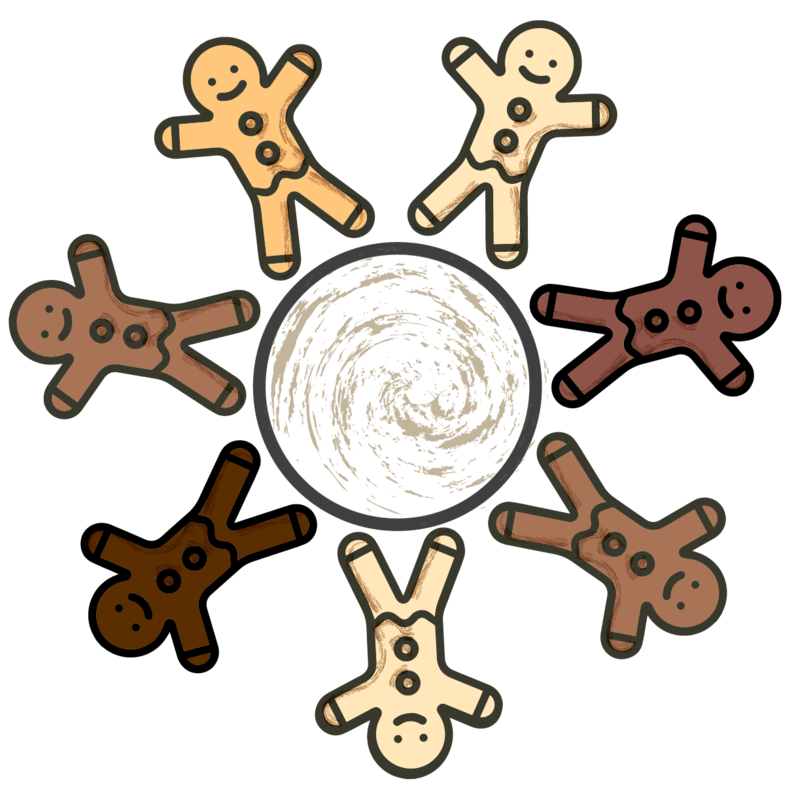 They also got to know in detail the basic method of the Bread Houses Network Theater of Crumbs and its applications for community building as well as for organizing paid events. 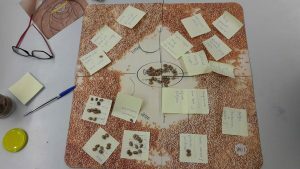 The training included practical guidelines for using the Baker Without Borders educational board game, which is a great tool used to develop social business ideas as well as to discuss important social issues. 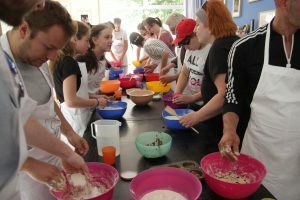 We welcome the Ramala team in the Bakers Without Borders community and we look forward to to the opening of the first Bread House in Latvia! 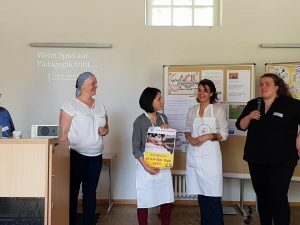 Between 3 and 5 May 2018, the Bread Houses Network was presented at the 27-th edition of the International Educational Forum and Game Market in Potsdam – an important and popular event on games as tools for education and children and adults development. 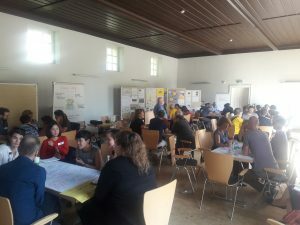 The Market is being organized by the Youth Organization of the German Protestant Church and includes workshops, seminars, lectures, but also a big and rich exhibition of various educational games. 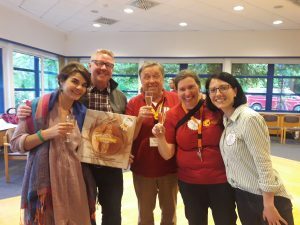 The motto of Spielmarkt 2018 was “Less plays more” – a message that the task of pedagogy of play is to re-establish the natural ability of playing. 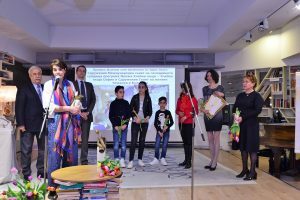 The event attracted more than 4 000 visitors among which pedagogues, educators, animators, children and parents, but also people with special needs. 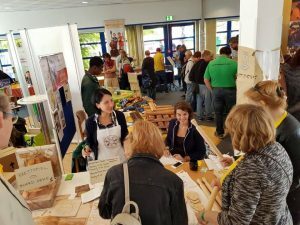 As a new exhibitor at the Market, the Bread Houses Network had its stall where Zdrava and Sandra from the Sofia Bread Houses presented the mission and the projects of the organization, but also its social entrepreneurship model. 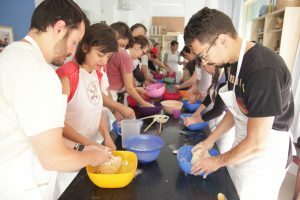 The visitors had the chance to participate in two bread making workshops, at which they shared stories and memories about their favorite games. 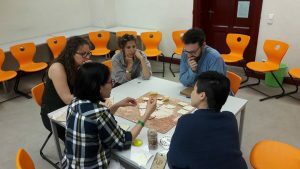 The Bread Houses Team organized also two workshops devoted to the development of social enterprises which were based on the Build a Bread House game, part of the Bakers without Borders educational tool. 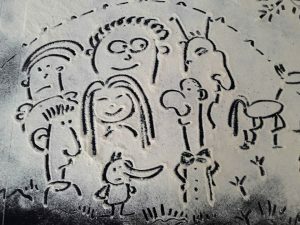 Moreover, Zdrava and Sandra had the chance took part in an International Expert Forum with “Play meets Pedagogy” aiming at exchanging ideas and improving the understanding of the different approaches, experiences and interpretations of the term Pedagogy of Play, across national and institutional borders. 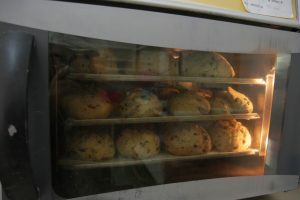 On 12th April the project Baking Bread for Health and Social Developmentwill be launched. The Bread Houses Network is implementing it in partnership with the Health and Social Development Foundation (HESED). 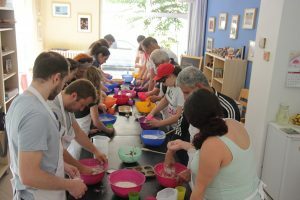 Thanks to the financial support of the charity fund of the International Women’s Club in Sofia between April and December 2018 we’ll organize 10 educational bread makings with children between 4 and 8 years old living in the Sofia district “Fakulteta”. 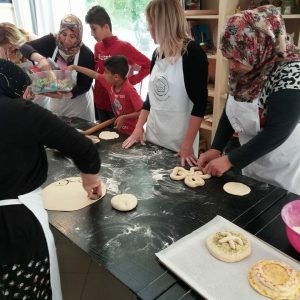 The events will be held at the HESED’s Health and Social Center for Development of the Roma Community located in the “Fakulteta” neighborhood in Sofia, as well as in the Sofia Bread House. 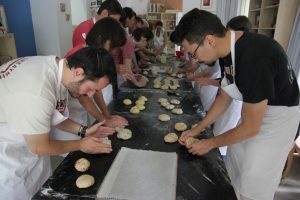 The meetings will be based on the innovative methods developed by the Bread Houses Network: “Theater of Crumbs”, “Kitchen Music” and “Fun Culinary” and will include creative and culinary activities. 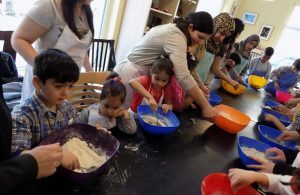 The children will not only learn how to make bread and other pastry products, but they will also get to know better the world that surrounds them and will improve their communication skills. 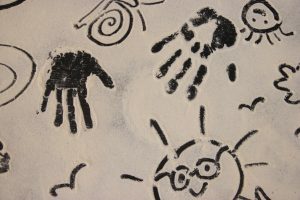 Every event will be devoted to a different important topic – family, friendship, school, seasons, the future profession, and many others. Follow our Facebook profile for news and photos from the events. 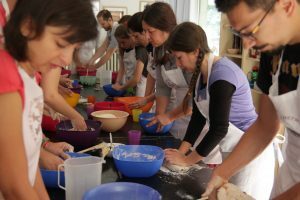 With the beginning of the spring, in the Sofia Bread Houses started a series of meetings „Like at home – we make bread, we share, we play”. 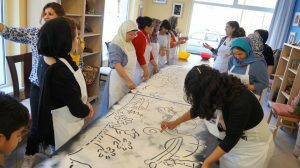 They are part of the Council of Refugee Women in Bulgaria’s project „Psychosocial activities with women and children, refugees and asylum-seekers, housed in the regional reception centers of the State Agency for Refugees in Sofia”. The project is funded by the International Organization for Migration (IOM) and the Fund for Asylum, Migration and Integration of the European Commission. 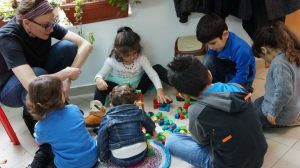 From March to July this year, the Bread House in Sofia will host children from families seeking protection and women seeking protection from Syria, Iraq, Iran, and Afghanistan. 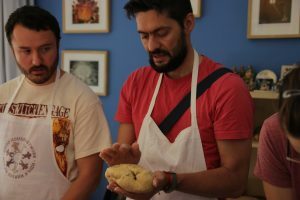 In a cozy and welcoming space they will prepare bread and other pastry products and will have the chance to interact, share stories and of course to have fun. 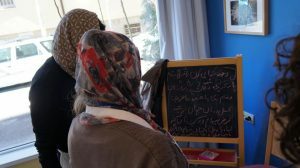 The first meeting in the frame of the project was on 7th March and gathered 11 women from Afghanistan and Iran living in one of the reception centers in Sofia. 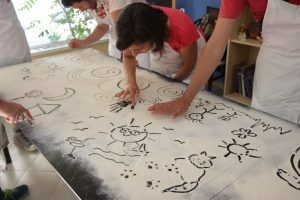 The topic of the meeting was “Who am I and why am I here?” While the women were painting in flour and sharing stories, in the next room their children had creative activities with an animator. 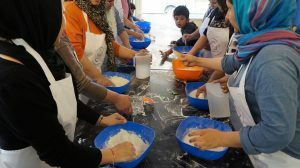 The project continued on 13th March with bread making for children dedicated to spring, involving 10 children aged 3 to 16, from Afghanistan and Iran together with their mothers. 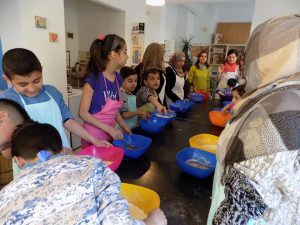 The children prepared dough, from which they formed shapes and sculptures. 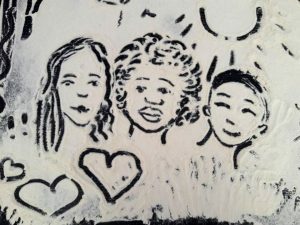 Their mothers were helping them while using the time to discuss and share their experiences. 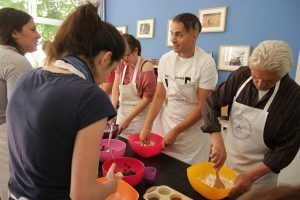 Take Part in Create & Bake “Your” Europe! 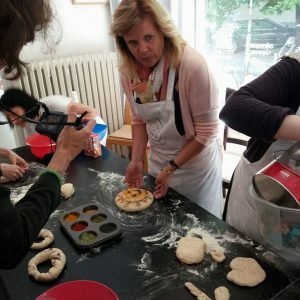 Take part in Bread connects Europe – Create & bake “your” Europe! Baking Competition until April 15. 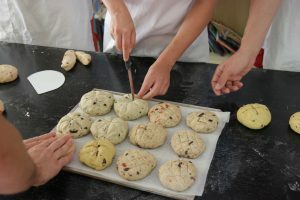 This competition is part the Tastes of Danube – Bread Connects initiative. 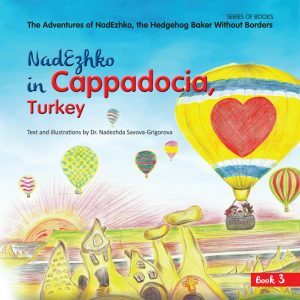 Show your baked idea of Europe. 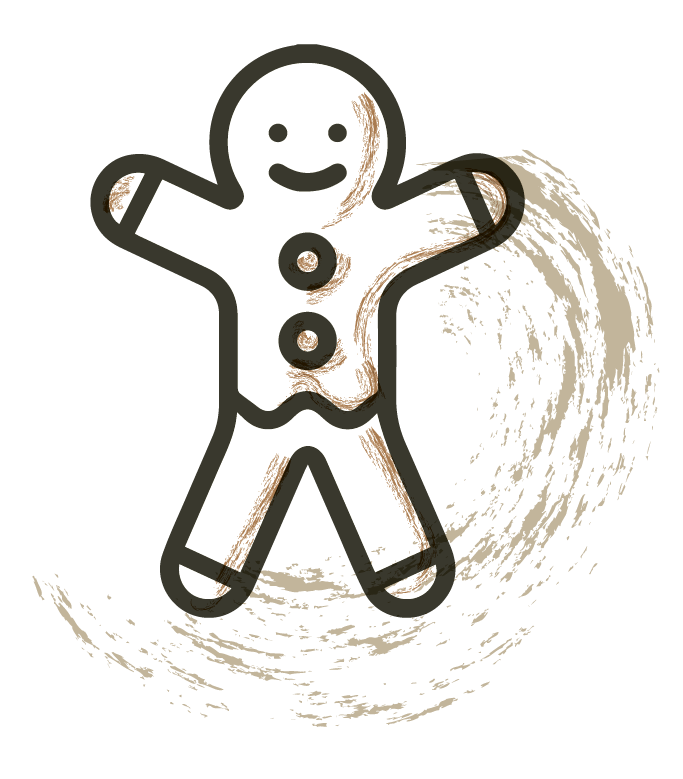 Your baked goods can be sweet or savoury; they can be colourful or decorated with seeds or special item. Whether you work alone or in a group – everything is possible. Just use some sort of simple dough, be creative and realize “your” Europe as a shaped bread. 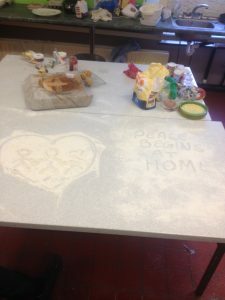 Please send a photo of your creation on your baking tray, name it, and describe your idea (max. 200 words), and send it to: info@ileu.net. The main prize will be a trip for one or two people to the international meeting of the Danube-Networkers in Ulm from July 12th-15th 2018. 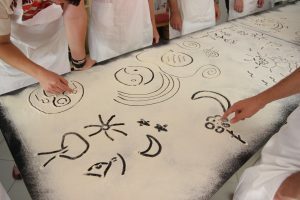 The meeting is part of the 11th International Danube Festival Ulm/Neu-Ulm. 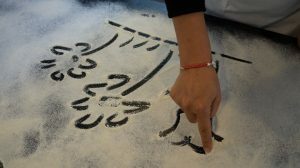 The Institute for virtual and face-to-face learning in adult education at Ulm University (ILEU e.V.) is the organizer of this competition. 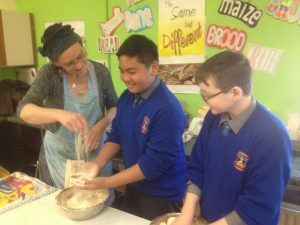 The ” We Are All Made from the Same Dough ” project is one of three projects of the Year 2017 in the Tulip Foundation Contest! 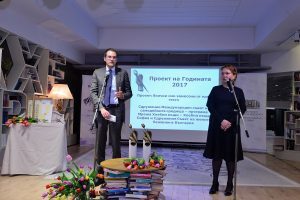 The project was nominated along with 18 more projects in the social sphere from different parts of Bulgaria and, together with two more initiatives, was recognized during a special ceremony. 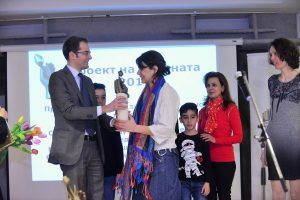 The winners of the competition were selected by a jury of professionals in business, media and diplomacy. 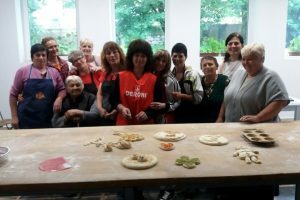 “We Are All Made from the Same Dough ” is co-organized by the Sofia Bread House and the Council of Refugee Women in Bulgaria. 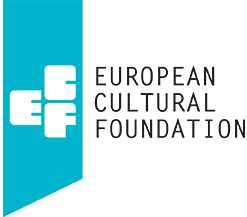 The project was launched in November 2017 and will continue until June 2018. 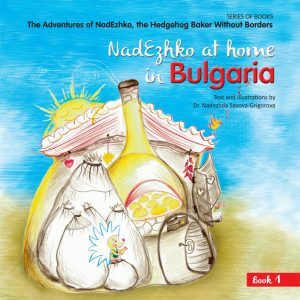 Its aim is to create opportunities for friendships between children from the refugee community and children from Bulgaria. 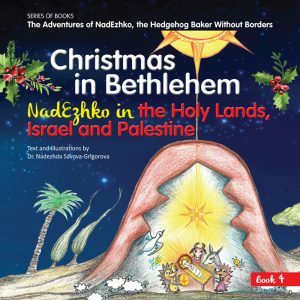 It is funded by the United Nations High Commissioner for Refugees (UNHCR), Bulgaria. 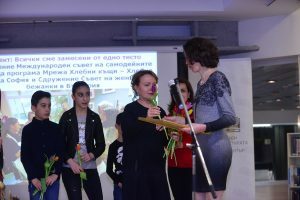 We thank Rositsa Bogdalinska from the Foundation for Children at Risk in the World for the nomination and trust, the Council of Refugee Women in Bulgaria for the togetherness, all 110 children and parents from the refugee and the Bulgarian communities who made friendships and believed in us, the UNHCR about making this happen, the Tulip Foundation for the recognition!